Can a shoe get any sexier than this one? A sparkling jeweled rhinestone holds six straps snuggled around your toes, with a unique and one of a kind slim flare heel measuring 3 and 3/8 inches tall. Matching rhinestone buckle holds the end of your ankle straps delicately looped through the center of this closed in heel. 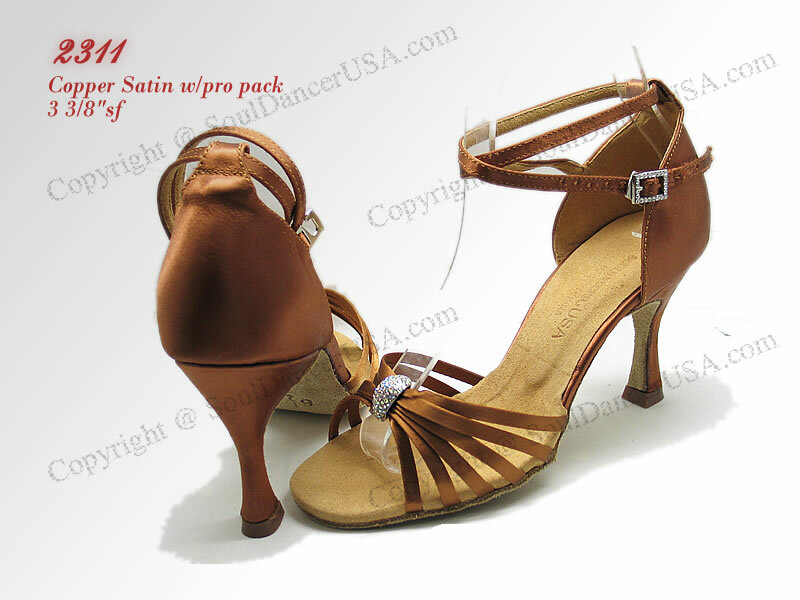 Picture shows in Copper Satin(DB3) in 3 3/8"sf heel with Pro Package. Available in Black satin, light tan satin, tan satin, dark tan satin, copper satin, red satin and white satin only.